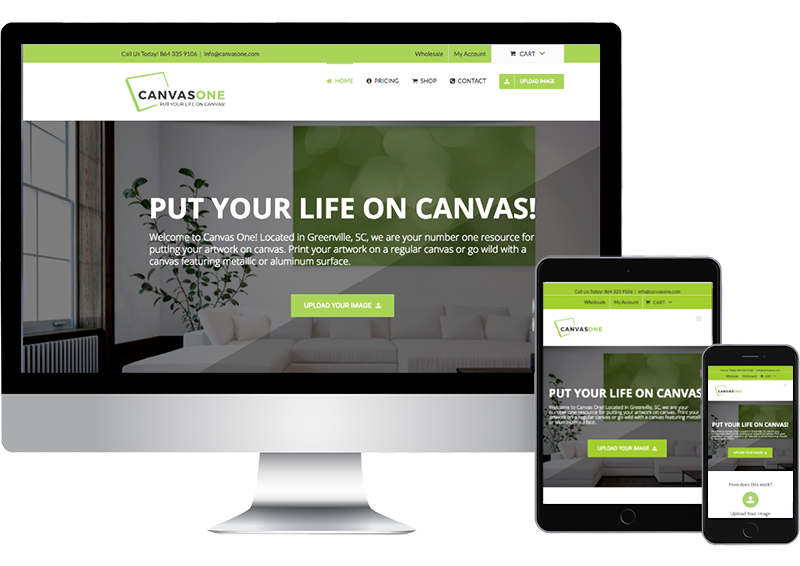 Located in Greenville, SC, CanvasOne is a leading provider of artwork printed on canvas. CanvasOne distinguishes itself by being able to print directly on canvas but also on metallic and aluminum surfaces as well. 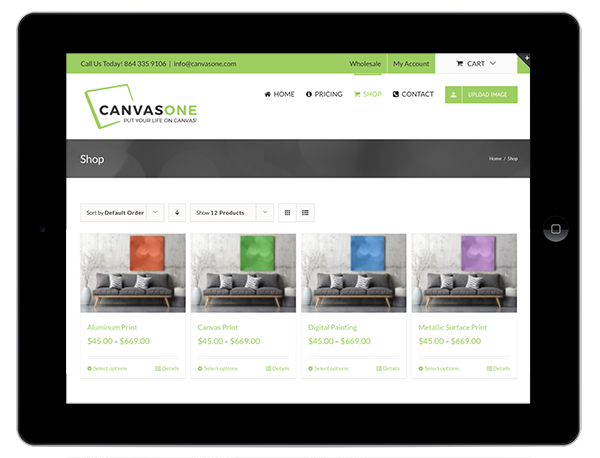 A new owner bought the CanvasOne business and wanted to make a strong impression with a revamped ecommerce website design to feature at their grand re-opening. The previous website was outdated and had an extremely clunky interface for site visitors to upload artwork and not much direction on what to do after the image was uploaded. The owners wanted a website that was easy to use and to generate easy to understand orders. The CanvasOne website was developed in a responsive design to automatically detect the size of the users screen to correctly size the main navigation, images and content any device. A robust image upload system was integrated into the site offering site visitors the ability to upload their images to the site. The system offers the ability to upload one or multiple images and displays the images through out their shopping experience so the visitor knows the system is using their image. The site offers a shopping cart that integrates with the image upload system offering site visitors options to choose from when placing their canvas orders. They can choose from custom features such as size, width and edge options. 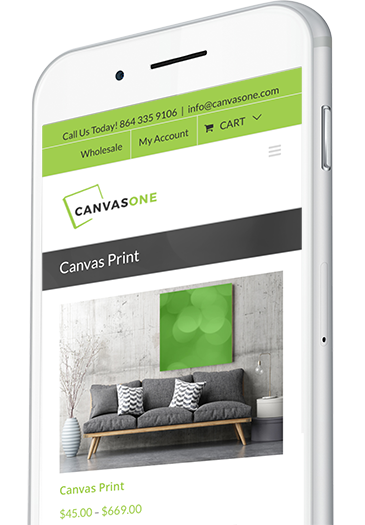 CanvasOne was thrilled with how easy the image upload function was to use and especially how well it worked on mobile devices. Since the site’s launch CanvasOne saw a decrease of almost 80% in the amount of customer service issues and calls related to product orders. Orders now come through with clear, concise information on what to do with each canvas order that comes in. Customers now receive correct product orders the first time and are more confident about repeat business.